MET-CAL CENTRE offers Training courses to help individuals gain the skills that they require in the field of Measurement and Calibration. This class is perfect for a player who understands the basic rules of Chess and knows the fundamentals. 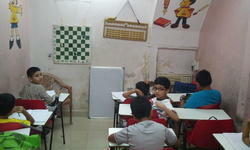 Kids at this level will learn basic openings, game tactics and the "ABC's of Chess" in all of their games. Academy provides regular training for the students from beginners to titleholder players on daily basis. Each class contains not more than 12 students for a proper training. And groups are divided by according to playing strength of the players.